ClockIt time and attendance software is designed from the ground up so that your company gets organized with one tool. Reporting managers have one view to manage and maintain their team’s leaves, travel, routes and much more. 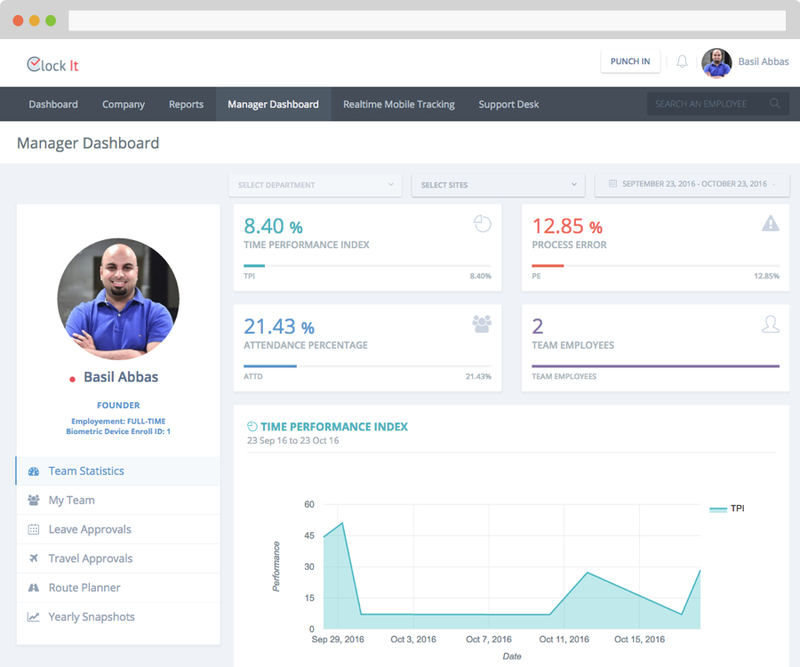 The manager dashboard is the one central place where a manager and see all information about his or her team. This makes it easy for approvals on leaves, business travel, team performance etc. Manage your entire team at one central place. No more emails all over the place. Get all the right information at the right place and time. Focus only on your team and its data. This ensures that you are contributing to bring up processes for your entire company. As a team, everyone is aware of who is on leave, who is travelling on business and contact information for your entire team. ClockIt puts all information about teams in one central location to be managed by the reporting manager. This means no more hunting for emails and more time getting work done. Easily access features from the manager dashboard menu or the page left side menu. Smart notifications give you a checklist of items to be approved making it easy to focus on the task at hand. Know what is happening with your team with just one single manager dashboard. 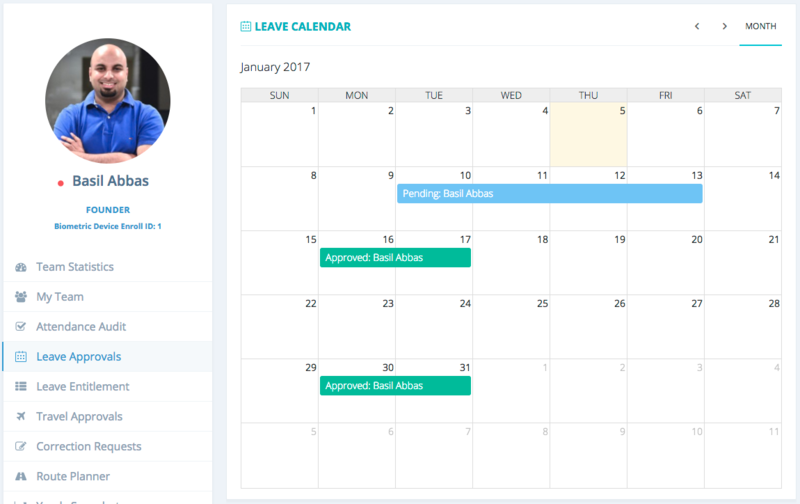 The leave approvals module helps to manage leave request for all team members requesting for leaves on a single dashboard. This module also keeps a track of all past leave requests. 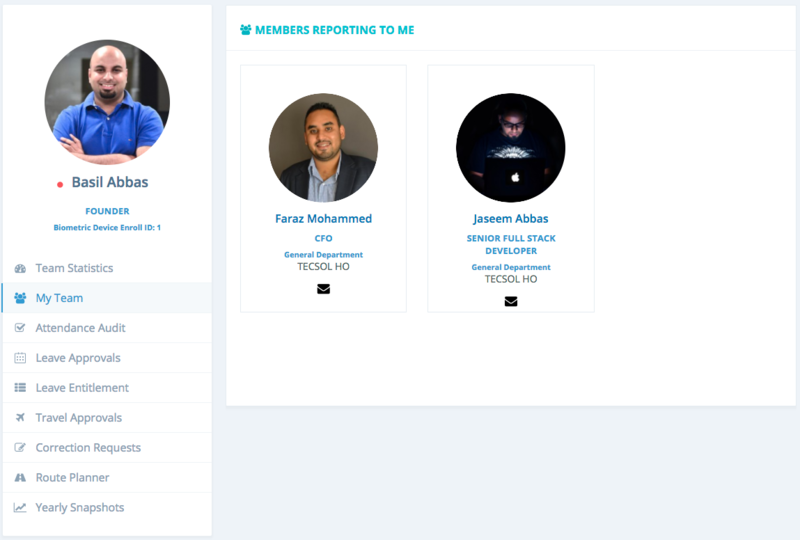 One dashboard to approve leaves for members reporting to you. Shared leave calendar for deeper insights on who is on leave when. Historical records of all leaves applied. Like leave requests team members can also request for business travel and have them approved by their reporting managers. Business travel templates ensure that business travel forms are consistent across all leave requests. Every action on ClockIt is audited. This means you have a trail of information on who was responsible for which action. History is maintained for simplified auditing at any point of time. Team members can also raise time correction requests to reporting managers in case of missed punches and corrections that need to be made. This module also has approvals and is fully audited on the platform.